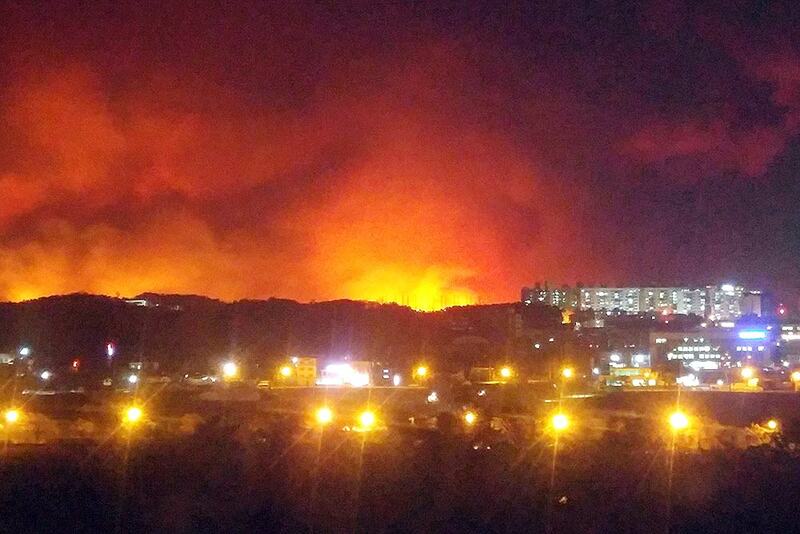 A house burns in Goseong, South Korea. 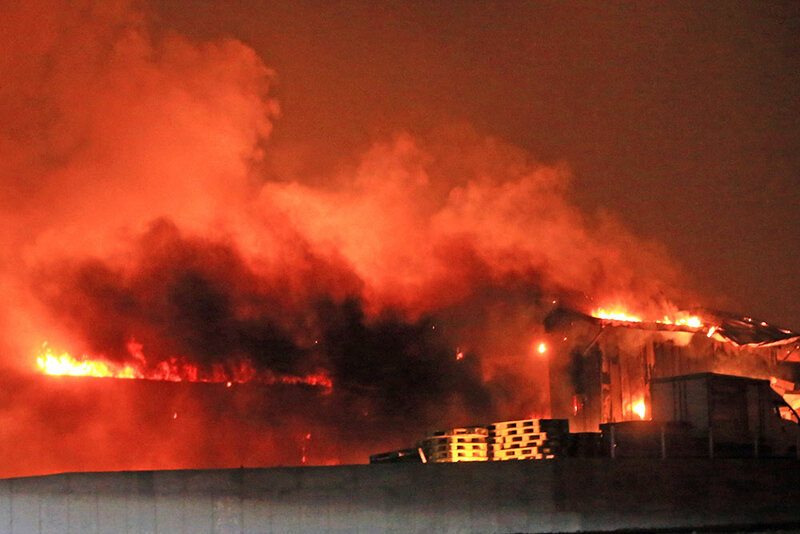 A few people died and thousands were evacuated after strong winds fanned a large fire burning in a mountainous South Korean province that hosted the 2018 Pyeongchang Winter Olympics, officials said. 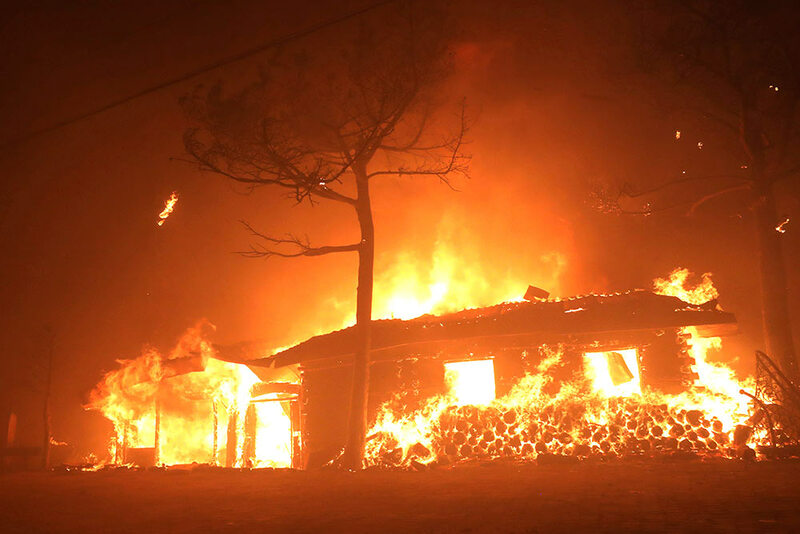 A house burns in Goseong, South Korea. The fire likely started Thursday night from a transformer spark near a resort in the town of Goseong in Gangwon province about 210 kilometers (130 miles) northeast of Seoul and then spread to the nearby mountains, according to Choi Jin-ho, a fire captain at Gangwon Fire Headquarters. 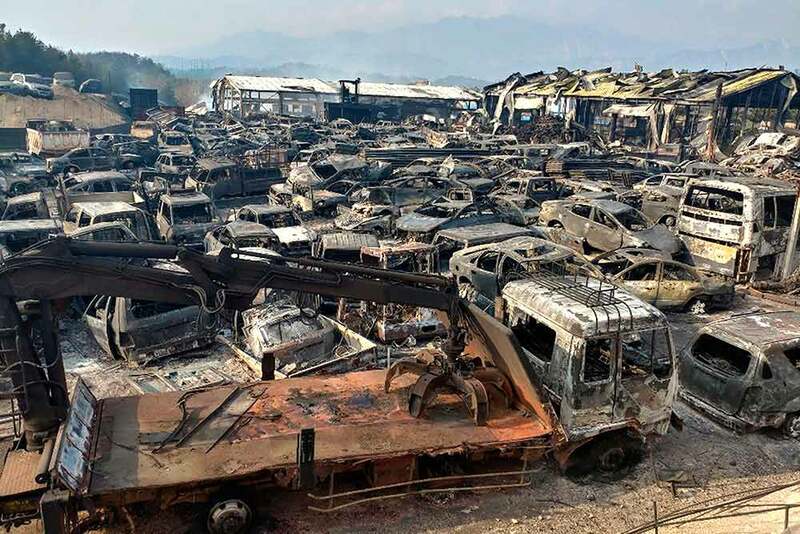 Burnt vehicles fill a junkyard after being hit by a massive forest fire in Sokcho, South Korea. 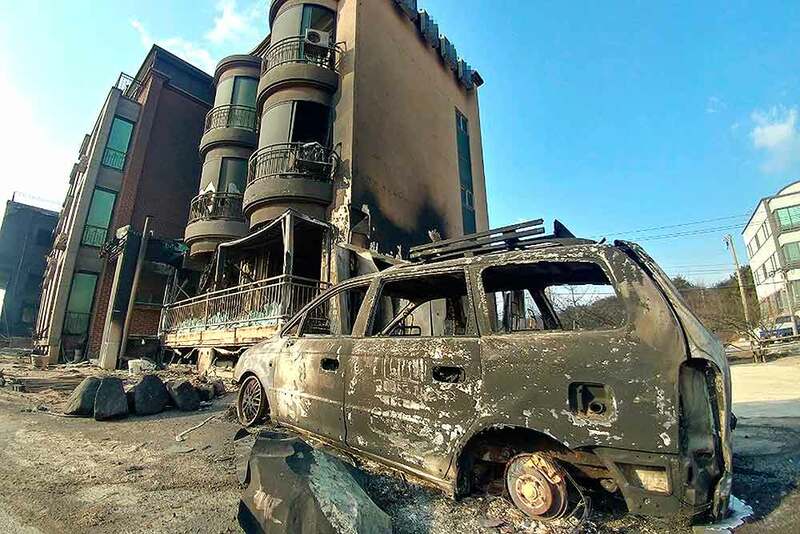 A burnt vehicle sits after being hit by a massive forest fire in Sokcho, South Korea. 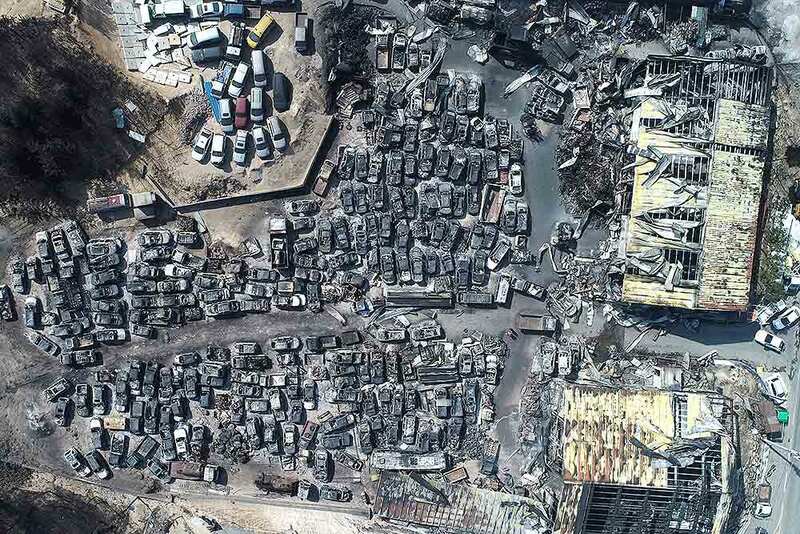 This aerial photo shows burnt vehicles filling a junkyard after being hit by a massive forest fire in Sokcho, South Korea. 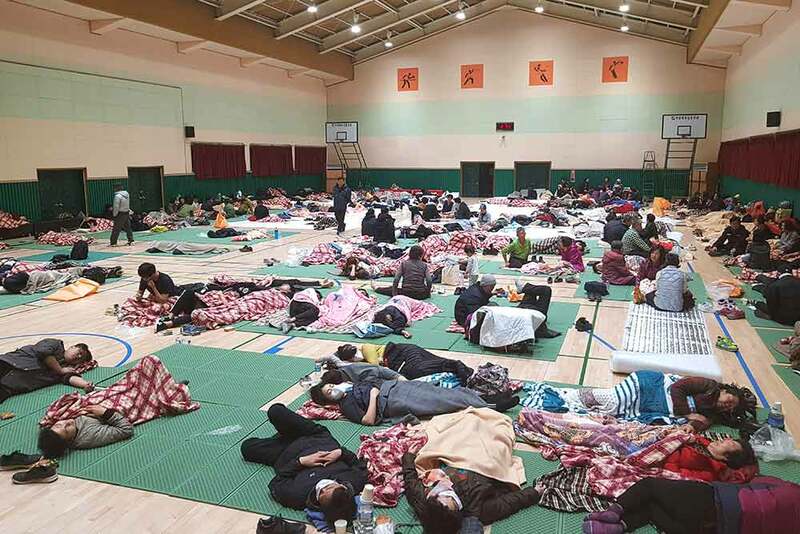 Residents rest at a shelter during a wildfire in Sokcho, South Korea. 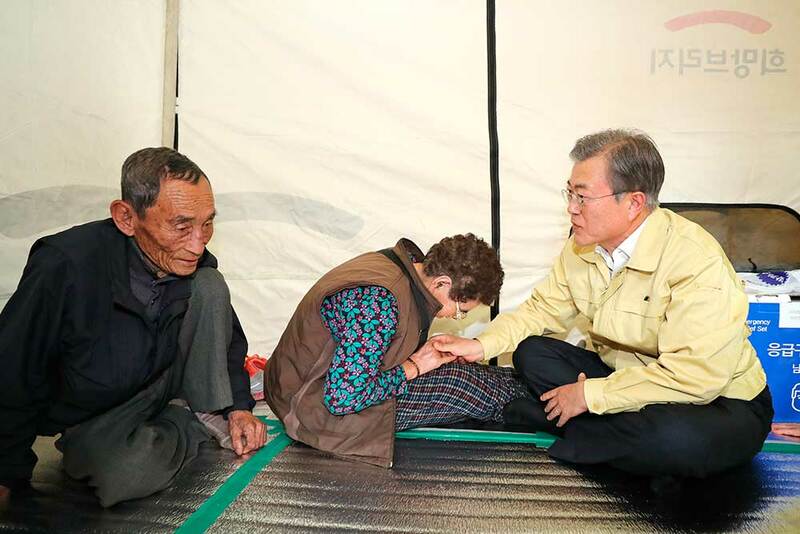 South Korean President Moon Jae-in, right, consoles residents at a shelter in Goseong, South Korea.